From video by Paul Donovan – is this one of the earliest dashcams? 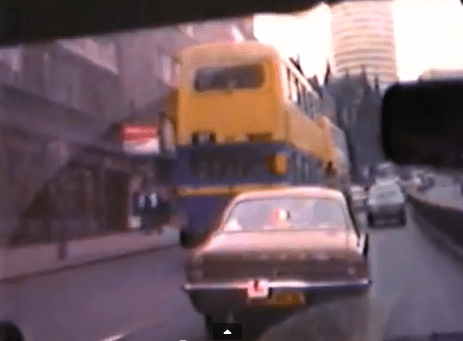 Paul Donovan has made and transferred to digital some remarkable clips of driving around Birmingham in 1981, complete with car radio soundtrack. I think they’re rather fab. There’s loads more to root through on his YouTube page, so go take a look. A fine one from high near Paradise Circus – possibly Alpha Tower? This entry was posted in News and tagged 1981, Birmingham, Bullring, cinefilm, Events, Facebook, Hagley Road, Lichfield, Local History, Paul Donovan, Redevelopment, Silly. Bookmark the permalink.